• Lightweight aluminum body, 1/2-20 outlet ports. 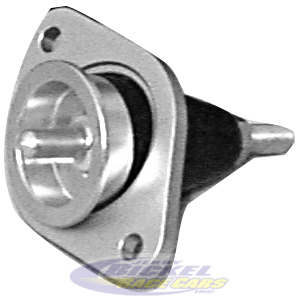 • Master cylinder body thru holes provide side mounting or attaching of JBRC3023 exposed cover kit. • 1.032 bore master cylinder should be used if single or 2-piston calipers are used on front and single 4-piston are used on rear. • 1.125 bore master cylinder should be used if 4-piston calipers are used on front and single or dual 4-piston are used on rear.